Last week in our student ministry we finished our last teaching series for the school year. Each school year we try and cover at least two books of the Bible (usually an Old Testament and New Testament book). Earlier this year we went through the book of Jonah, which was one of my favorite teaching series of all time, and for the past six weeks we have been going through the book of Acts. You might be wondering how we fit the entire book of Acts into just six weeks. I’m glad you asked. That’s why I am writing this post. 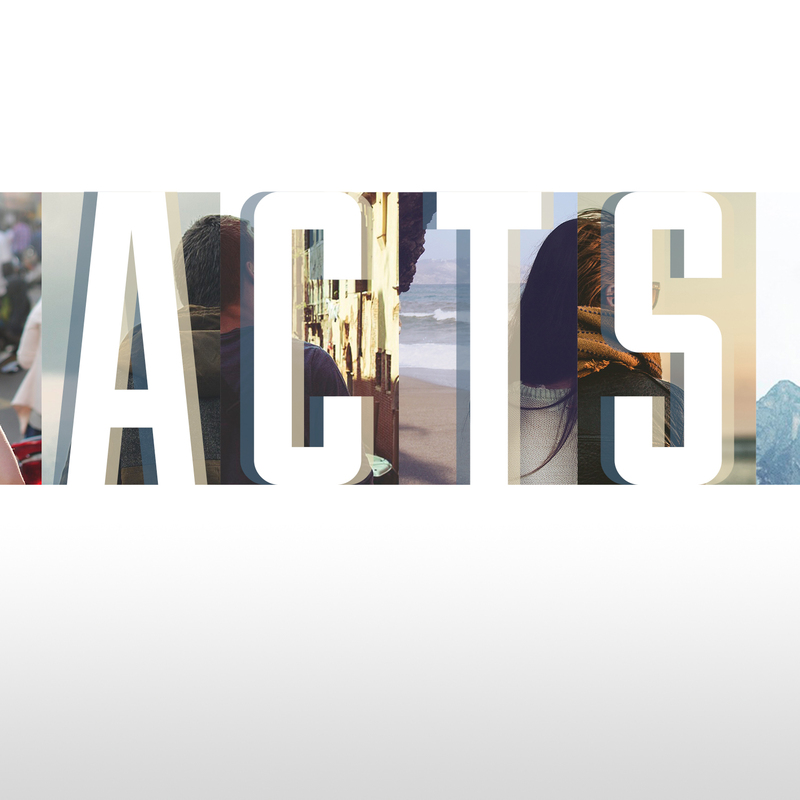 To cover the book of Acts in six weeks we combined two things: teaching and personal reading. Lets talk first about teaching. Over the six weeks students heard talks from various parts of Acts. I didn’t just randomly chose parts of Acts to teach on. Instead I looked through the book of Acts and picked out six different passages that seem to be key points in the narrative but also passages that highlighted something I felt like the students in our context needed to hear and understand. The six places in Acts we taught from were: Intro, Promise, and Call (Acts 1:1-11), Early Church (Acts 4:23-37), Stephen Martydom (Acts 6:5, 8-7:60), Paul’s Conversion (Acts 8:1-3; 9:1-9, 15), Paul and Silas Rescued from Prison (Acts 16:22-34), and Paul in Athens (Acts 17:16-34). Feel free to click here to listen to these talks from our high school ministry mid-week services. There were so many more passages in Acts I wanted to cover but with only six weeks I couldn’t. That’s why we didn’t just settle with teaching from these six places in Acts and forgot the rest. Instead, as I said before, we combined the teaching with personal reading. For the personal reading part of this series we broke down the book of Acts into a forty day reading plan. Each day had students reading about half a chapter while a few days had them reading an entire chapter. We then put this reading plan on a bookmark sized card and called it the “Acts Reading Challenge” (click here to see one of these cards that was completed by a student). We gave these out at the beginning of the series and challenged students to read the entire book of Acts on their own before the end of the series. Once completed we asked students to turn their cards back in to receive a gift. I wish I could say all our students took this challenge but some did and I couldn’t be more proud of those students that took the time to read God’s Word. This was the first time I have ever combined teaching and personal reading for a series and I plan to do it again next time we go through a book of the Bible with our students. Like any plan there were things I liked and things I believe we did well, but there were also things that didn’t work well and we will need to adjust next time around. However, I enjoyed being able teach from specific places in the book of Acts while equipping and encouraging our students to read the rest on their own.